Apps like ScreenChomp, Educreations, ShowMe and Explain Everything have had huge instructional impact in the classroom. With a click of a button, students are able to demonstrate understanding by having the app record their voice and annotations. These clips are then saved to the cloud and shared with the teacher. Like I said, huge impact. Especially when aligning these skills to the Common Core State Standards for Speaking and Listening. The problem: these apps don't exist for the Chromebook. In fact, since Chromebooks cannot install executable files, not a single screencasting solution (aside from Google Hangouts on Air + Screensharing) exists for the device. After two days of searching (a.k.a. 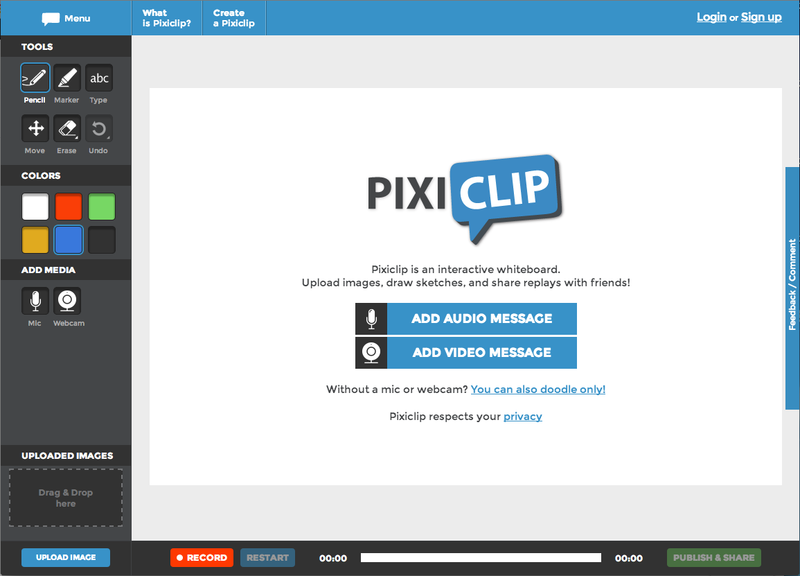 two days of disappointment), I finally discovered PixiClip, a glorious Whiteboard-casting Web2.0 solution! This app shows a lot of promise, especially if leveraging Acer's new c720p Touchscreen Chromebook. Click here if you cannot see the embedded Pixiclip.